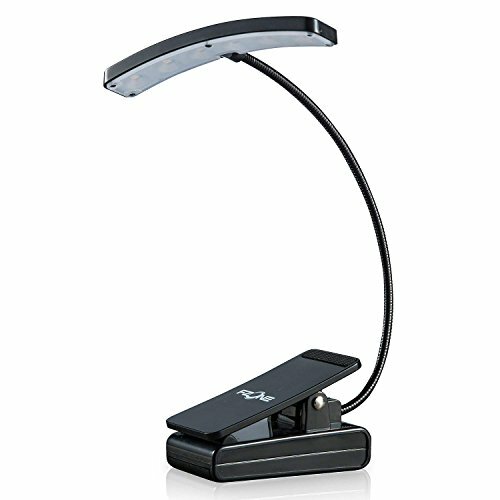 The FZone FL-9036 Music Stand Light is a compact LED light, perfect for lighting sheet music or anything you need a reliable light for. Six super bright LEDs mounted on a concave base offer broad and even illumination. The easy to use "Touch Switch" controls with three brightness settings and a flexible light post can accommodate virtually any lighting need and a rubberized clamp provides a firm grip without slipping. Powered by 3 AAA batteries or by USB, cable included. The FZone FL-9036 Music Stand Light is a compact LED light, perfect for lighting sheet music or anything you need a reliable light for. Six super bright LEDs mounted on a concave base offer broad and even illumination. The easy to use "Touch Switch" controls with three brightness settings and a flexible light post can accommodate virtually any lighting need. A rubberized clamp provides a firm grip without slipping. Powered by 3 AAA batteries or by USB, cable included. If you have any questions about this product by FZONE, contact us by completing and submitting the form below. If you are looking for a specif part number, please include it with your message.